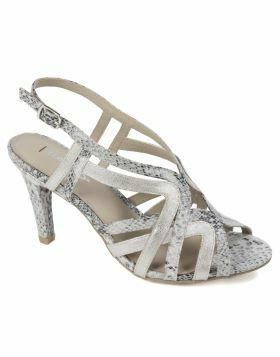 Glittering straps of the Revo sandal from Rialto Shoes elegantly crisscross for a pretty accent to dressy looks. This strappy heel has a back zipper closure. Heel height: 3 1/4 inches.